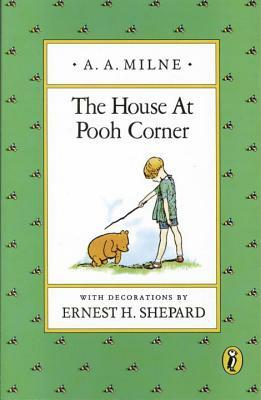 Return to the Hundred Acre Wood in A.A. Milne’s second collection of Pooh stories, The House at Pooh Corner. Here you will rediscover all the characters you met in Winnie-the-Pooh: Christopher Robin, Eeyore, Owl, Piglet, Kanga, tiny Roo, and, of course, Pooh himself. Joining them is the thoroughly bouncy and lovable Tigger, who leads the rest into unforgettable adventures.